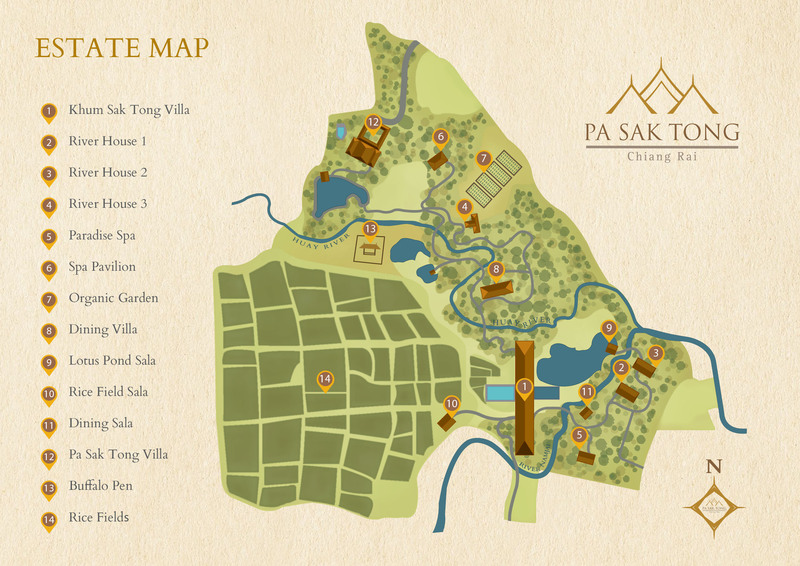 Our organic garden provides many of the fruits and vegetables you’ll enjoy during your stay at Pa Sak Tong Estate. Using no chemical pesticides or fertilisers, our gardeners use natural methods to bring you healthy and that may well be the best you’ve ever tasted. Pa Sak Tong Estate is honoured to have partnered with Thailand’s Royal Project, providing land and hands-on training that teach the residents of the local village how to use organic methods to grow crops in a sustainable and environmentally friendly way. "The villa is beautifully appointed and comfortable; the grounds stunning both day and night."